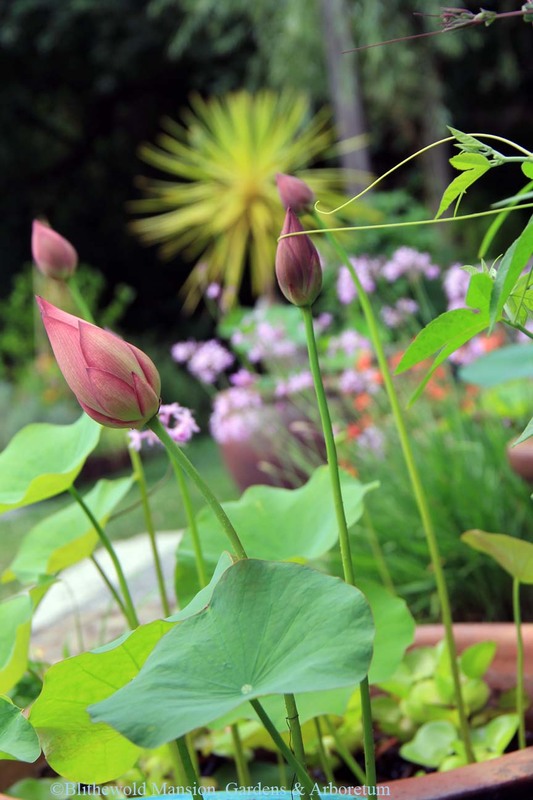 Lotus ‘Drunken Concubine’ growing next to geraniums and petunias. 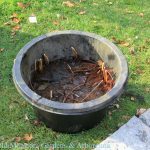 This week we drained the lotus containers, cut back the plants, and stored the tubers in mud for the winter. Sometimes it is the end of things that causes one to reflect back on a season. 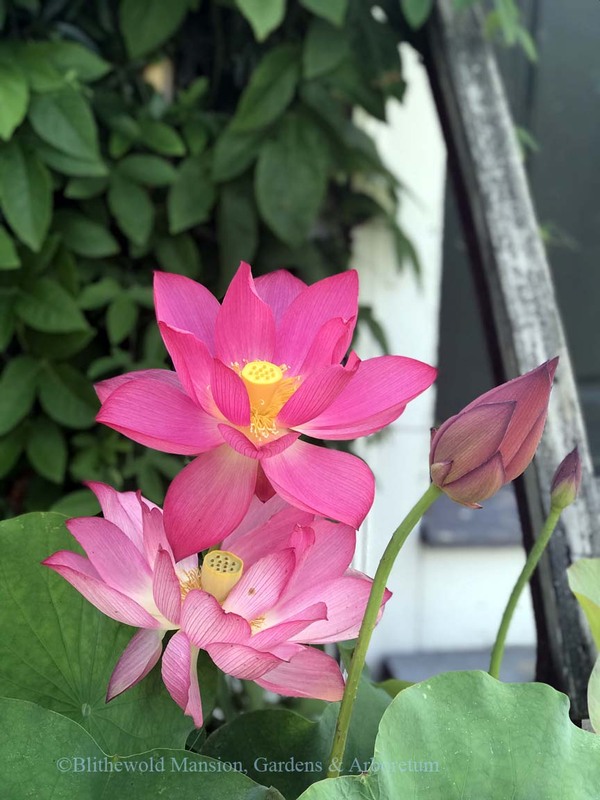 We were cautiously optimistic that the lotus tubers we received back in May, carefully potted, and sunk into containers for the summer would reward us with amazing blooms. 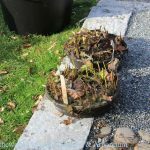 It seemed possible that we would have to grow these plants on for a year and they wouldn’t bloom until next summer. However, our hopes were rewarded in spades! 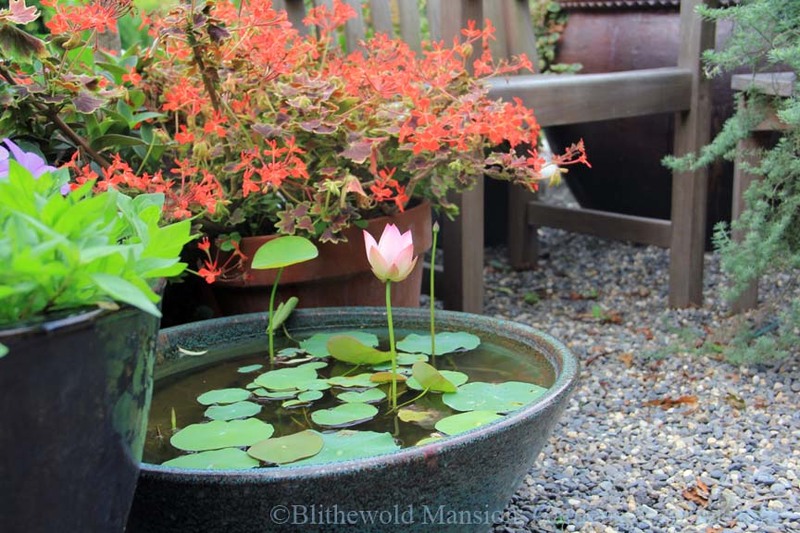 In late July the first lotus blossom opened (of course, this was the week I was on vacation). 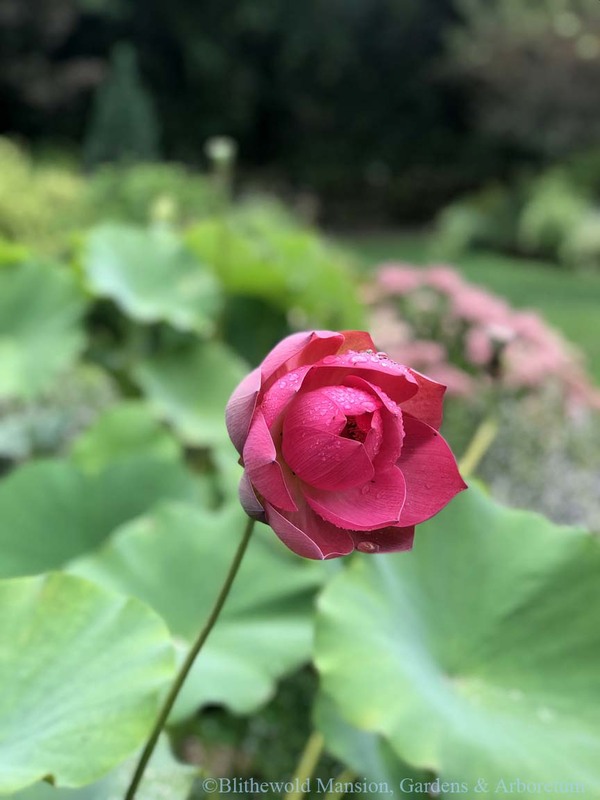 Despite missing the first bloom, I was able to see many more blooms over the course of August and September. Lotus love the heat. And we had a lot of that this summer! (Although it does seem like a long time ago, especially with snow on the ground today.) 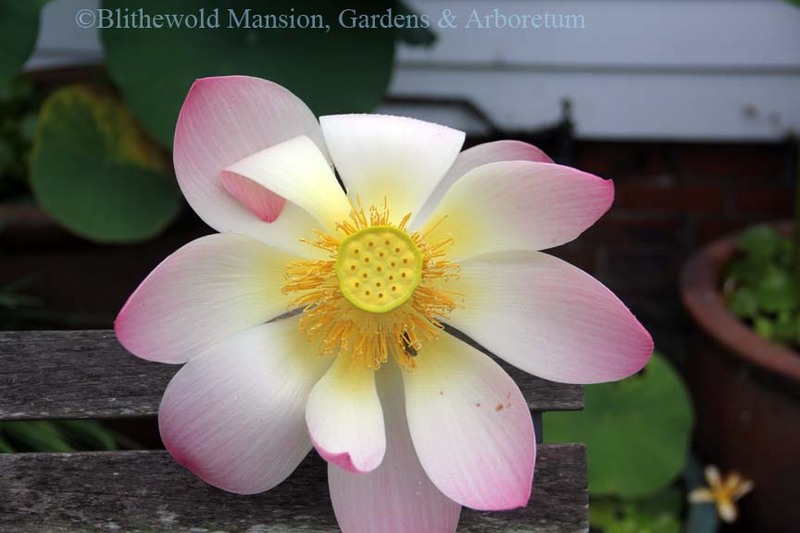 Here are some pictures of the lotus flowers on display this past summer. 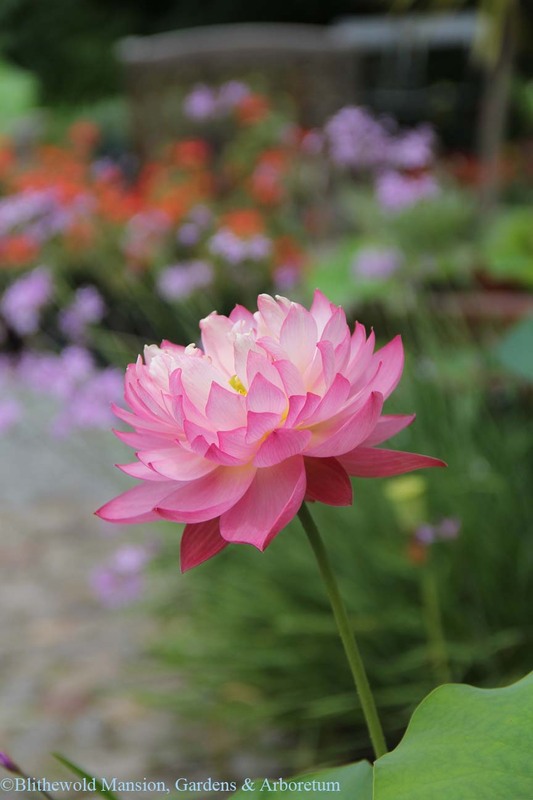 Lotus are sometimes referred to as Sacred Lotus because in Buddhism they are a symbol of purity. I even read a scientific article that describes their incredible self-cleaning abilities. For such beautiful leaves and flowers to emerge from the mud with not a speck of dirt on them is impressive. Science is always looking to learn from nature. 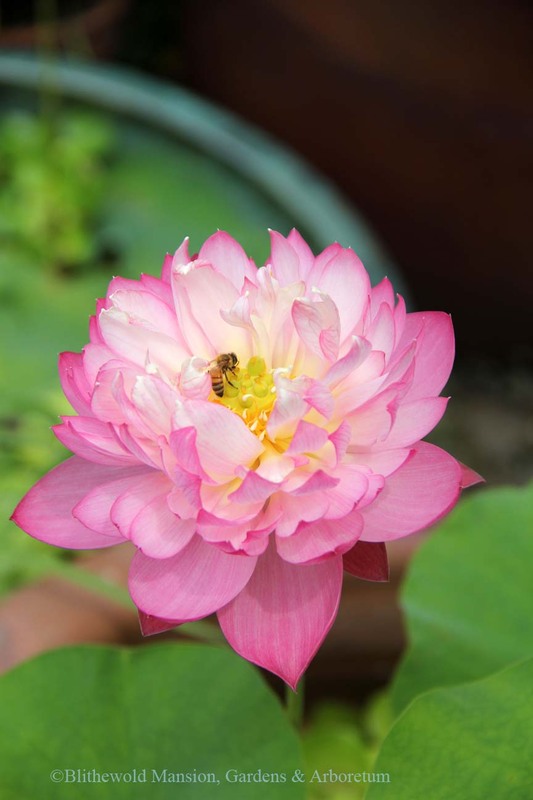 The leaves of the lotus plant come in two types and both are hydrophobic (meaning that water beads up and rolls off when it comes in contact with the plant), which assists in the plant’s self-cleaning. The first leaves sit on the water and are referred to as coin leaves. The second type are the aerial leaves that grow above the water’s surface, but not as tall as the flowers. Although the clean, round leaves are beautiful, they are nothing compared with the magnificent blossoms that tower above them. 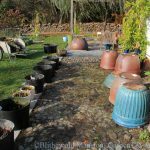 I hope our lotus storage methods are successful and we have lotus in containers again next year. 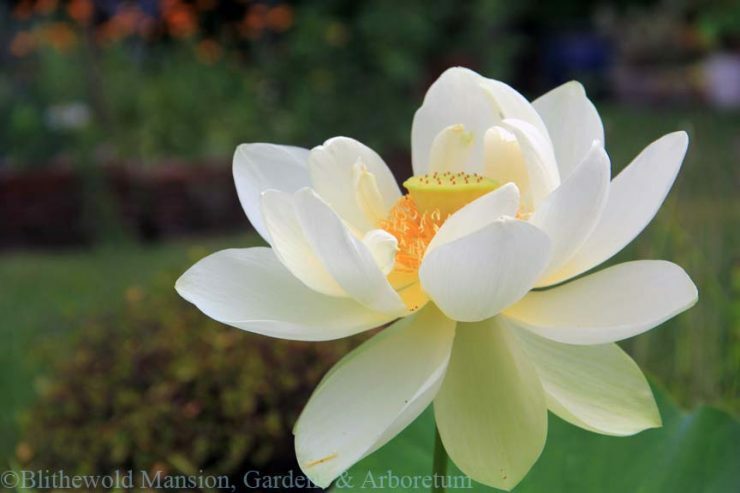 Until then, may we all keep the inspiring beauty and purity of the sacred lotus in our hearts throughout the winter. 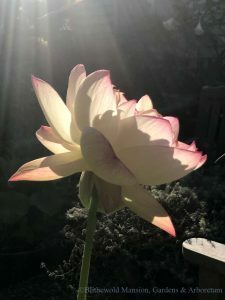 *Thanks to Gail for taking some of these gorgeous lotus pictures. 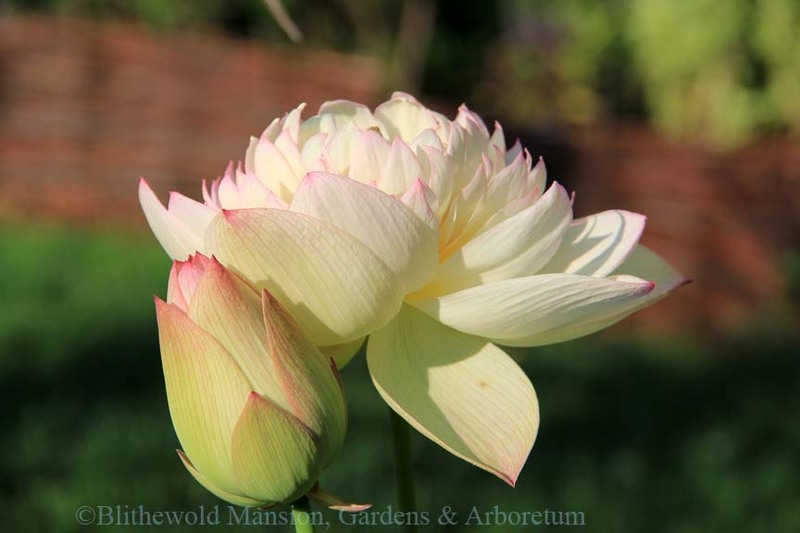 **Featured lotus at the top is ‘Perry’s Giant Sunburst’.